In a series of photos tweeted out by Donald Trump Jr. Tuesday, the president’s son provided some insight into a meeting between Trump campaign leaders and a “Russian government attorney” in June 2016. “If it’s what you say I love it especially later in the summer,” Trump Jr. responded. Nevertheless, the meeting — and the e-mail communication leading up to the meeting — seemed to contradict previous statements from Trump family members and senior administration leaders who insisted no communication existed. Here are five times when members of Trump’s administration and family have denied any campaign contact with Russia. “I can’t think of bigger lies,” he told Tapper. 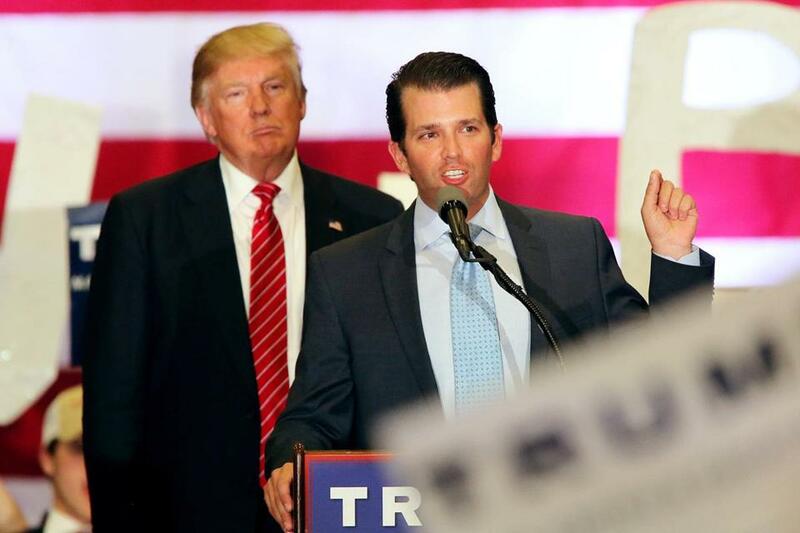 Trump Jr. added that the accusations show the true colors of the Clinton campaign and what they are willing to do to win. “These lies and the perpetuating of that kind of nonsense to try to gain some political capital is just outrageous,” he said. In a July 2016 interview with CBS This Morning, Manafort said the campaign has no relationship with Russia and that Trump has no financial relationships with Russian leaders. “This is an absurd attempt by the Clinton campaign to try and get the focus off of what the real issue is,” Manafort said, adding that the “real problem” was Clinton’s own e-mail server. “Obviously, this has been a subject that comes up over and over again when it’s been very clearly stated on multiple occasions that there’s no collusion that occurred, and yet this narrative continues to be perpetuated,” he said. It’s a message Spicer said that both he and the president have continuously stated. In an interview earlier this year, Conway said it was her understanding that no one associated with the campaign met with any Russian officials before Election Day. Ahead of James Comey’s testimony on Capitol Hill, Eric Trump told ABC News he planned to watch the testimony, calling it the “greatest hoax of all time” and adding that he was there throughout the campaign. “We have no dealings in Russia. We have no projects in Russia. We have nothing to do with Russia,” he said.